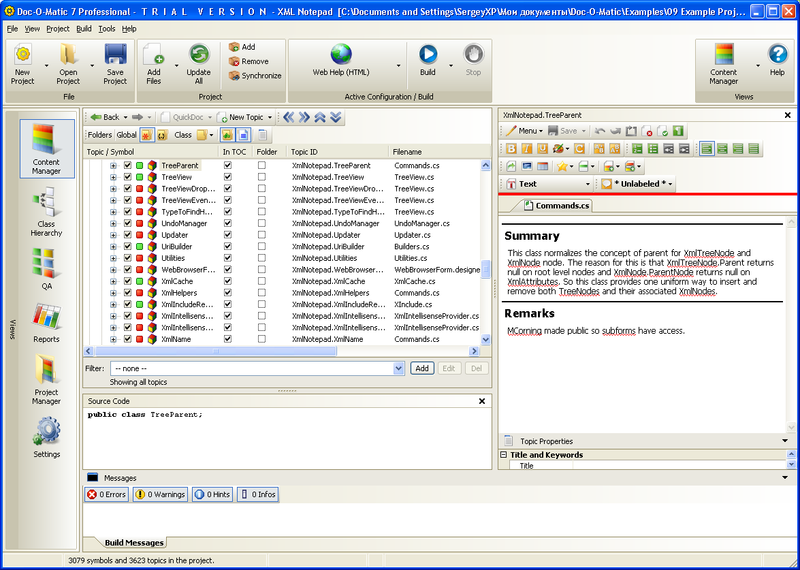 Doc-O-Matic is a software source code documentation and Help authoring tool. It takes source code and comments, adds conceptual topics and external input and produces documentation from it. With its single-source approach it generates many different kinds of output from a single documentation base. Doc-O-Matic produces HTML-based Help files including HTML Help, Help 2, Help Viewer 2.x and browser based Web Help. Doc-O-Matic also creates printable documentation in PDF and RTF formats as well as XML output ideally suited for post-processing. Doc-O-Matic uses TRichView for editing help topics, for displaying contextual help messages, etc. Your documentation is always up-to-date. Doc-O-Matic adopts to your way of documenting source code and supports XML Doc and JavaDoc. Using Doc-O-Matic you can author both your source documentation and your application Help. Doc-O-Matic produces highly accessible output tailored to your needs. 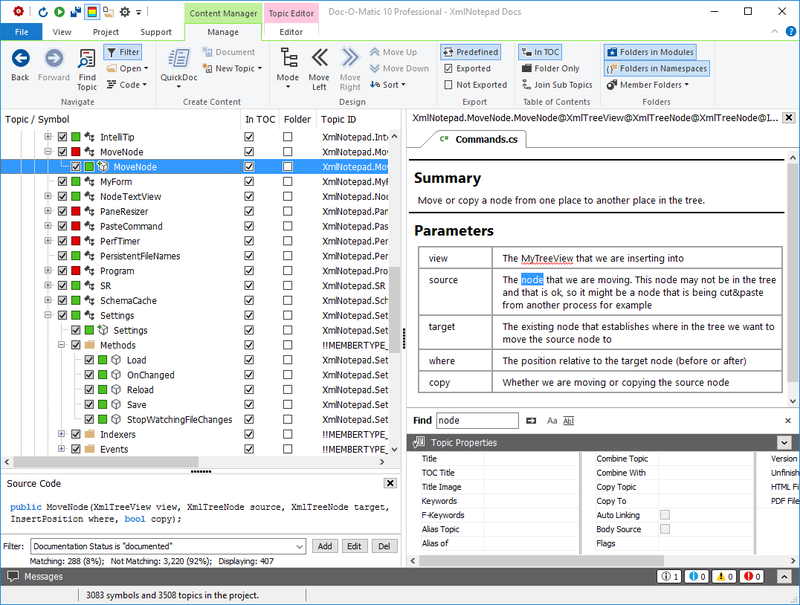 Doc-O-Matic comes with predefined templates for widely used documentation standards such as Visual Studio and MSDN documentation or Delphi VCL Help. Doc-O-Matic helps you manage your source code by providing a class hierarchy visualization tool, a flexible report feature and a graphical documentation QA tool. Doc-O-Matic produces source documentation and application Help in PDF, HTML Help, Help 2, Help 3, Web Help/browser based HTML, Windows Help and XML. Doc-O-Matic is a single source documentation tool. Doc-O-Matic is a stand alone Windows application with an easy-to-use user interface. Doc-O-Matic comes with a command line compiler, Doc-O-Matic can be integrated into your automatic build process easily.